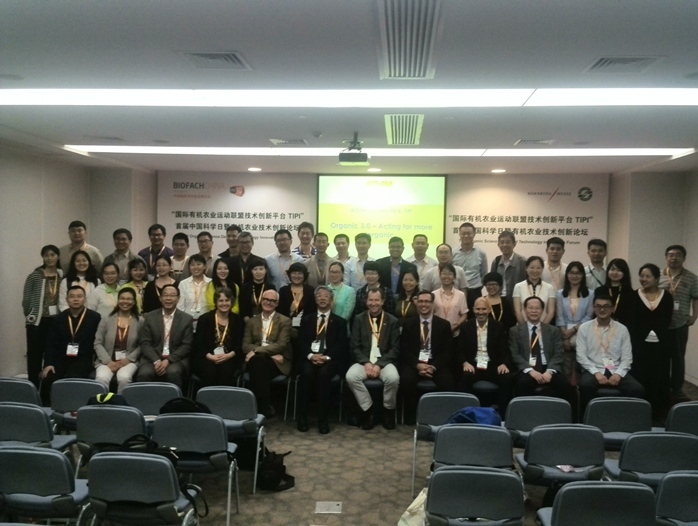 Organic Agriculture Technology and Innovation Platform Establishes at Shanghai Meeting. Organic agriculture is one of the fastest growing sectors of food production in the world. Today in Shanghai China is taking the next step in establishing the platform for the growth of organic in China. On May 27th, a new national technology and innovation platform for organic agriculture is to be established at the Science Day China meeting of the Technology Innovation Platform of IFOAM – Organics International. The meeting is being held in conjunction with the organic trade fair, BIOFACH China 2016. Organic agriculture brings market opportunities to China while being environmentally sound and sustainable. Organic agriculture works within the principles of ecology to intentionally manage production systems without the use of genetic engineering, synthetic pesticides and fertilizers, and synthetic food preservatives, colors, and flavors while still meeting highest standards in product quality, environmental sustainability and animal welfare. This new platform will enable the collaboration of organic stakeholders towards innovation in organic agriculture. The platform will bring together research, technology and innovation to achieve high yields and profitability under the guidance of organic standards. The platform will also promote the science supporting organic agriculture to inform agricultural policy with a vision of sustainability. The meeting will feature invited speakers from around the world as well as agricultural leaders in China and the formative meeting of TIP China, followed by a tour of the Shanghai Organic Agriculture Engineering Technology Center (Tony’s Farm). This meeting was made possible by the sponsorship of the Institute of Genetics and Developmental Biology of the Chinese Academy of Sciences, the Research Institute of Organic Agriculture (FiBL) Switzerland, Nurnberg Messe China Co. Ltd., China Organic Food Certification Center, Tony’s Farm, and the support of Organic and Beyond Group China, and Guangxi Botanical Garden of Medicinal Plants. *IFOAM - Organics International is the world leading body promoting the development of organic agriculture.